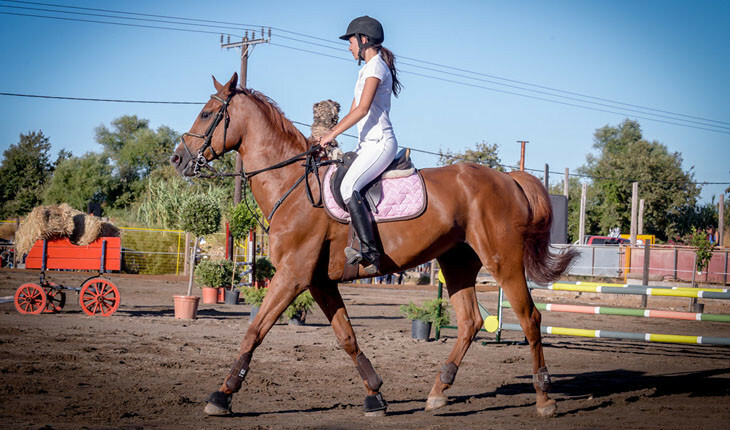 We organize riding lessons for children and for adults, either you are a beginner or a more experienced rider. You will start by getting to know the horses and building trust with them. The more advanced riders will have an instructor to guide them according to the level of their experience. Your instructor will be totally focused on you as all lessons are private. 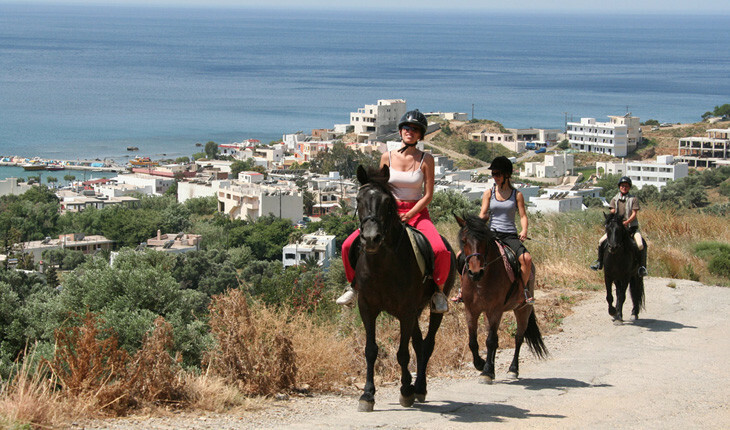 If you are experienced enough to ride a horse there are guided trails that are organized for you in the area around Plakias, along the mountains and the hills and also on the wonderful beaches of Plakias, Ammoudi and Damnoni. The scenery is unique with an abundance of flora and fauna and you can choose whether you would like to keep a normal pace or go for a more active ride. 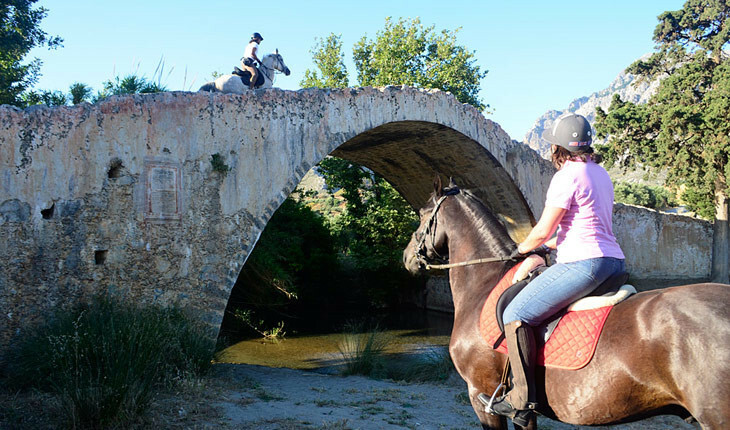 If you are not so sure about your horse riding skills or if you are all new to this you can start from the basics by participating in riding lessons or take on one of the guided tours with a donkey or a horse for about 15 minutes. 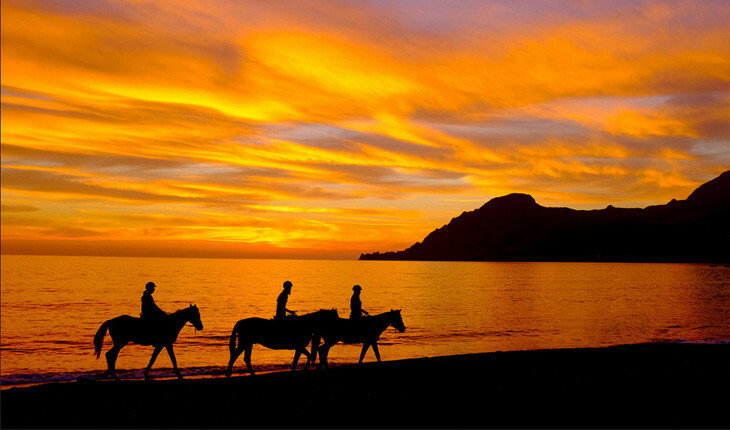 The horseback riding tours vary in length and usually last form one hour up to four hours, depending on the pace that the riders will keep and the terrain. 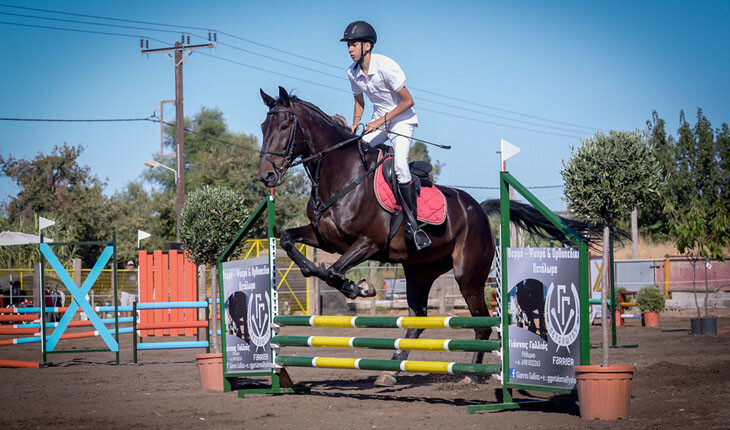 During the high season the riders start either early in the morning or in the early evening in order to avoid the heat, that can be hard for the rider but also for the horse. Rides on the beach typically start early, around 8 o’clock in the morning. Upon your arrival at the stables the horses are all tacked up and ready to go. The more experienced riders can ride the horses on their own but for the beginners, the bridles of the horse are held by the guides. Special Equipment: Typically the riders will use English saddles, but there are 2 western saddles also available. For the safety of all the riders caps are required and they will be provided. Suggested Clothing: You should wear something comfortable, preferably long trousers and also comfortable shoes because during long rides you might need to lead the horse for a small distance. 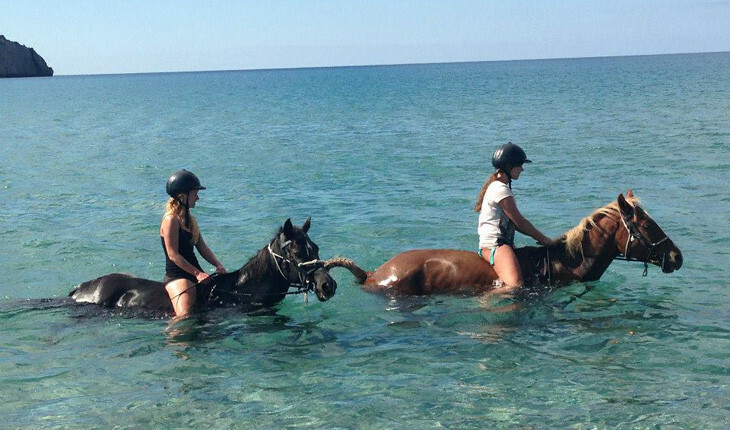 All the horseback riding tours are guided by experienced personnel that will make sure you will have an unforgettable experience and will take care of both you and the horses. There are 11 different trips for you to choose, from exploring the mountains and the countryside to swimming in the beach and enjoying the sunset. Contact us and we will give you more information regarding the trips and prices for adults and children. Donkeys have played a great role in people’s lives all over Greece till the end of 60’s. Every family that lived in a village had a donkey that served them both for transport and for agricultural activities. Unfortunately, nowadays donkeys have almost become extinct. A donkey is a very peaceful and friendly animal that will offer you a gentle ride. A donkey ride will be something that you will surely remember!! The donkey rides can be with or without a guide. 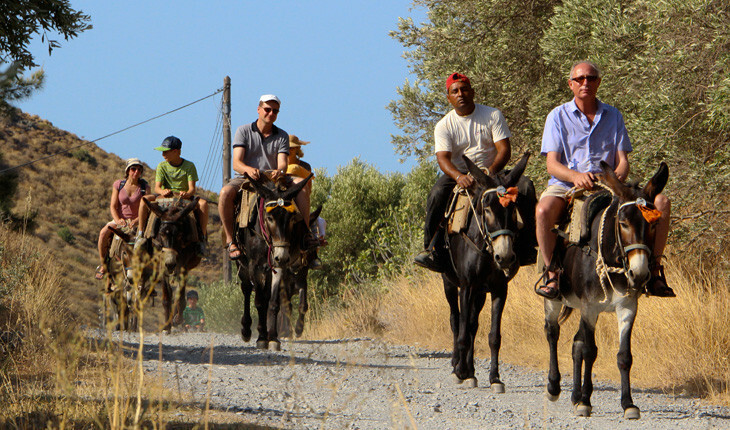 During a guided tour, the group will ride the donkeys, and the personnel will lead you on foot. You can choose for a guided tour that lasts from about 20 minutes up to 4 hours. During a non-guided tour you can follow a path around the mountains for an hour or longer and if you have children on the donkey you will have to lead. For children it would be good if they had a little riding experience. 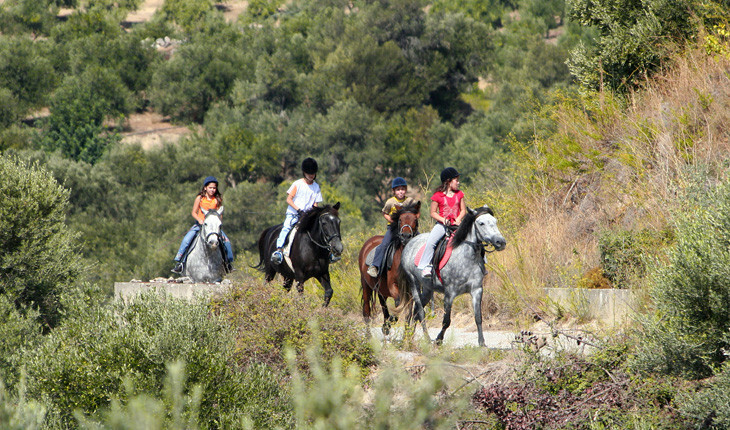 The horse riding school will provide you with a description of the paths and routes as well as the appropriate equipment. Many times, the donkeys participate in numerous events such as a traditional Cretan wedding or other cultural events as was the first Soap Festival in Myrthios in 2015. 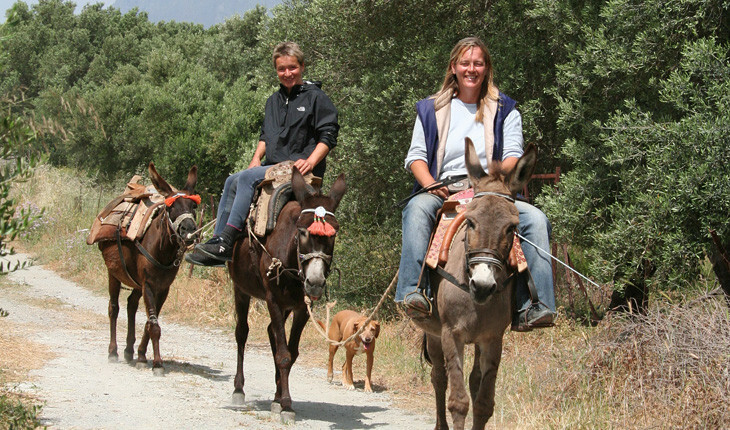 There are 5 different donkey rides for you to choose, exploring the mountains and the old paths that lead to the villages of the area. Contact us and we will give you more information regarding the trips and prices for adults and children. 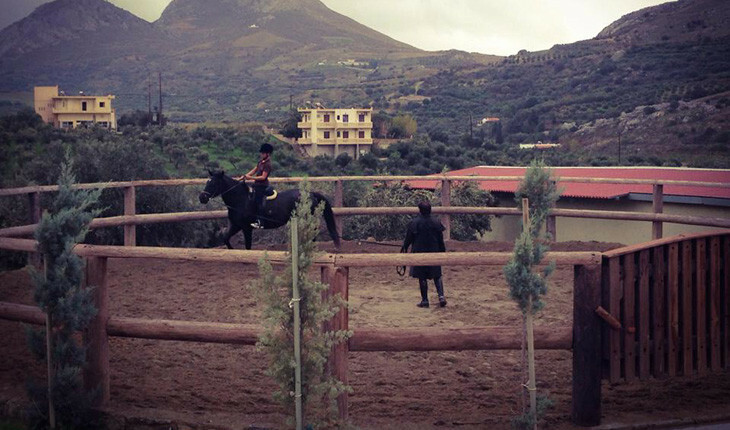 In the area of Plakias operates an athletic equestrian center founded in 2014 and which offers the opportunity for advanced horseback riding lessons for dressage and jumping. Starting with the basics you will work on your balance and how to get a safe seat on the horse. Then you will get to learn some basic riding techniques. Of course through these lessons you will get to know the horse itself and develop a confidence between the rider and the horse. Grooming lessons are also available. If you are a more experienced rider the instructor will arrange for a lesson that better suits your level of experience. The lessons are private and so the instructor will be totally focused on you. Lessons are 30 minutes long. Suggested Clothing: You should wear something comfortable like long trousers and preferably shoes with a heel. Contact us and we will give you more information regarding the lessons and prices for adults and children.